Speed up the workday with a constant reminder of a favorite memory, or warm up your home office with a family photo. 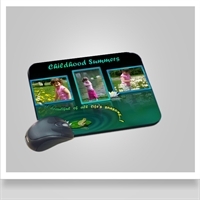 For more effects, please see our photo effects collection and chose "Mouse Pads" as your printing option. 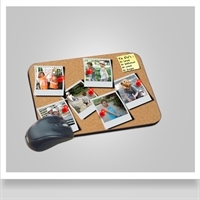 Catch the "Cork Board" effect in a mouse pad that’s sure to make everyone smile at home or office. 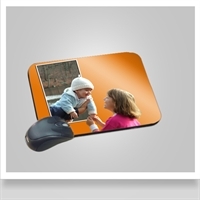 Enhance your favorite photo with our 3D effect – perfect for a mouse pad that makes everyone smile at home or office. 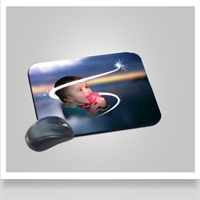 Catch the "Magic Light" effect in a mouse pad - perfect at home or office. Place your favorite 2-3 photos "on a lake" - a collage printed as mouse pad, best choice for home or office decor.